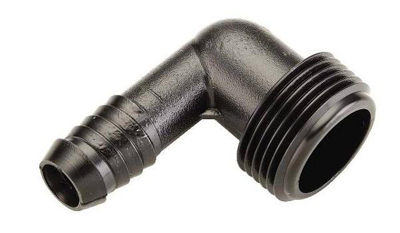 DS75L - Swing Pipe Fitting 3/4" Spiral 90 (for .490" ID Swing Pipe only). Make your own swing joints and protect sprinklers from damage. Swing joints provide flexibility so that pipes or risers do not break when a sprinkler head is run over or stepped on. Swing assemblies make it easy to place sprinklers precisely where you want them.